Mobile book trolleys made from MFC finished in Beech. Double sided: one side can be used for book storage and the other for display. 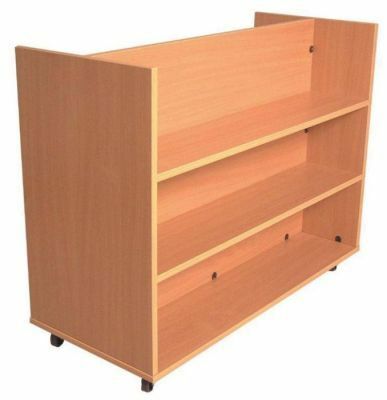 Finished in Beech, Maple or Oak these units are ideal for use in school libraries. 5-year guarantee. Assembled and delivered free to mainland UK. Lead time 15 - 20 working days.